Microsoft has a ‘Windows 10 devices‘ event scheduled for Tuesday, October 6. At the event, the company is expected to launch two new Lumia handsets – the Lumia 950 and the Lumia 950 XL – apart from the Microsoft Band 2 and the Surface Pro 4 tablet. We already know a lot about the forthcoming handsets and the activity tracker, and with not much time left for the event, new information about the tablet has also appeared on the Web. 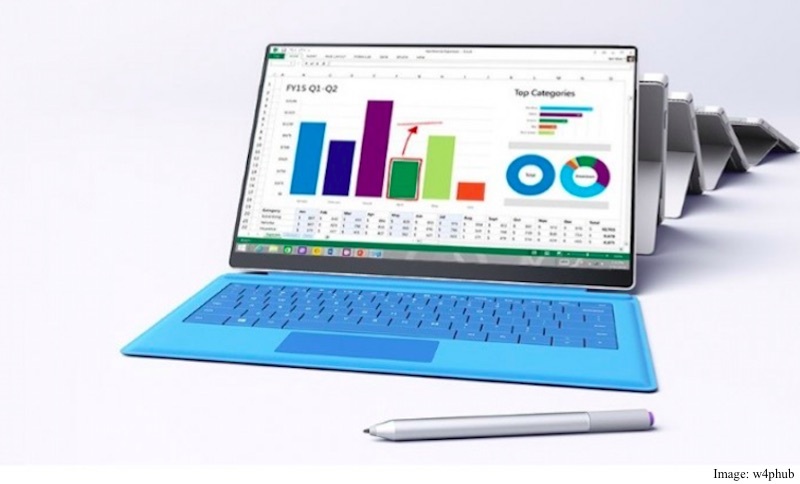 According to a new report, the Surface Pro 4 will have a “razor-thin” bezel. This is partly in line withseveral previous reports that suggested that the company plans to make the forthcoming tablet a bit smaller, thinner and lighter. An Arabic news website W4phub reports that the bezel on the top and sides will be almost non-existent. The report further noted that the display will change its size between 13-inch (when a keyboard is attached to it), and 12-inch when it is being used as a tablet. Dubbed “Smart Frame,” the feature will likely shut off some pixels at the sides of the display to facilitate the transition between varied screen sizes. A separate report, however, claims that the Surface Pro 4 will come in two screen sizes: 12-inch and 14-inch. The 14-inch variant will come with a resolution of 2160×1440 pixels, it added. While there’s no concrete proof just yet to support either of the claims, both the reports seem plausible. Microsoft has not been too successful with its Surface tablets, and it wasn’t until the launch of the Surface Pro 3 last year that the lineup started to turn profits. The last year’s 12-inch Surface Pro 3 tablet received an overwhelming response from customers and critics alike. The company may want to offer users more choices this time. As for what we know so far, the new Surface Pro 4 tablet will almost certainly support the peripherals that worked with the last year’s Surface Pro 3. Other expected specifications include a 6th-generation Intel ‘Skylake’ Core processor, up to 16GB of RAM, and a 500GB hard drive, as per previous reports. Read more.. Source by NDTV GADGETS..